What does it mean to be strong? We live in a world being put to the test, and seemingly on the brink — so how can we make our systems, structures, and institutions stronger? How can we make things less fragile, and simpler — or manage complexity and increase resilience? When we face challenges, do we stand rigid against the wind – or are we energized, like a turbine? 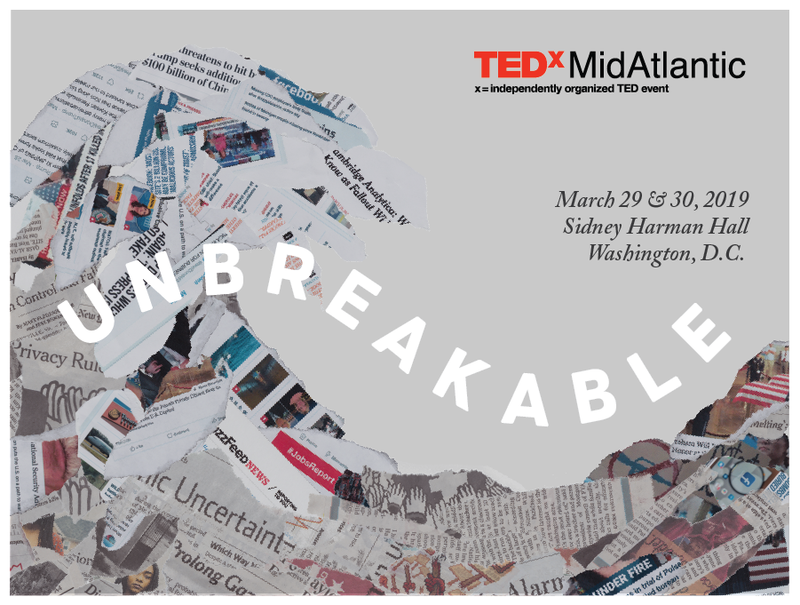 We’ll explore the promising ideas that can help us turn adversity into strength, and help make our civic systems and shared culture become UNBREAKABLE. 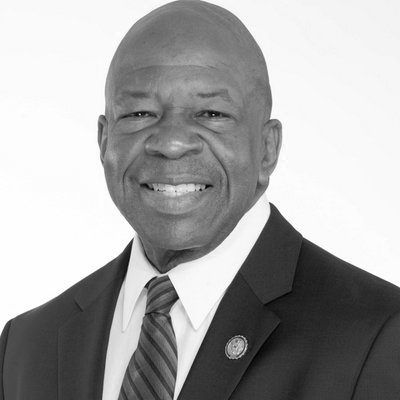 Congressman Cummings represents Maryland’s 7th district and currently serves as the Chairman of the Committee on Oversight and Reform. As the main investigative committee in the House of Representatives, Oversight and Reform has jurisdiction to investigate any federal program and any matter with federal policy implications. As the Committee’s Chairman, Congressman Cummings fights to hold the Presidential Administration to a high standard of excellence and to ensure efficiency and effectiveness in the actions of the government of the United States. He also seeks to identify appropriate reforms that prevent waste, fraud and abuse and that ensure government programs meet the needs of the American people. Dr. Leana Wen is the President of the Planned Parenthood Federation of America and the Planned Parenthood Action Fund. 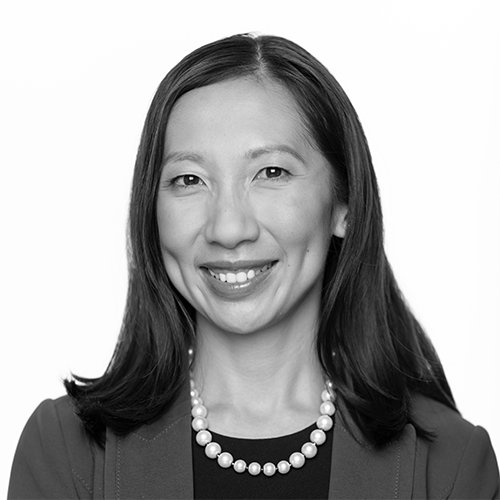 Before joining Planned Parenthood, Dr. Wen served as the Baltimore City Health Commissioner, where she oversaw more than 1,000 employees with an annual budget of $130 million; two clinics that provide more than 18,000 patients with reproductive health services; and mental health programs in 180 Baltimore schools. A board-certified emergency physician, Dr. Wen was a Rhodes Scholar, Clinical Fellow at Harvard, consultant with the World Health Organization, and professor at George Washington University. She has published over 100 scientific articles and is the author of the book When Doctors Don’t Listen. In 2016, Dr. Wen was honored to be the recipient of the American Public Health Association’s highest award for local public health work. In 2018, Time Magazine named her one of the 50 most influential people in healthcare. 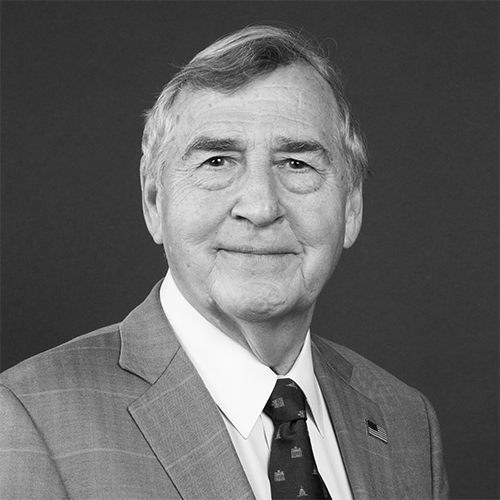 Graham Allison is the Douglas Dillon Professor of Government at Harvard University where he has taught for five decades. Allison is a leading analyst of national security with special interests in nuclear weapons, Russia, China, and decision-making. Allison was the “Founding Dean” of Harvard’s John F. Kennedy School of Government, and until 2017, served as Director of its Belfer Center for Science and International Affairs which is ranked the “#1 University Affiliated Think Tank” in the world. As Assistant Secretary of Defense in the first Clinton Administration, Dr. Allison received the Defense Department’s highest civilian award, the Defense Medal for Distinguished Public Service, for “reshaping relations with Russia, Ukraine, Belarus, and Kazakhstan to reduce the former Soviet nuclear arsenal.” This resulted in the safe return of more than 12,000 tactical nuclear weapons from the former Soviet republics and the complete elimination of more than 4,000 strategic nuclear warheads previously targeted at the United States and left in Ukraine, Kazakhstan, and Belarus when the Soviet Union disappeared. Dr. Allison’s latest book, Destined for War: Can America and China Escape Thucydides’s Trap? (2017), is a national and international bestseller. His 2013 book, Lee Kuan Yew: The Grand Master’s Insights on China, the United States and the World, has been a bestseller in the U.S. and abroad. Nuclear Terrorism: The Ultimate Preventable Catastrophe, now in its third printing, was selected by the New York Times as one of the “100 most notable books of 2004.” Dr. Allison’s first book, Essence of Decision: Explaining the Cuban Missile Crisis (1971), ranks among the all-time bestsellers with more than 500,000 copies in print. 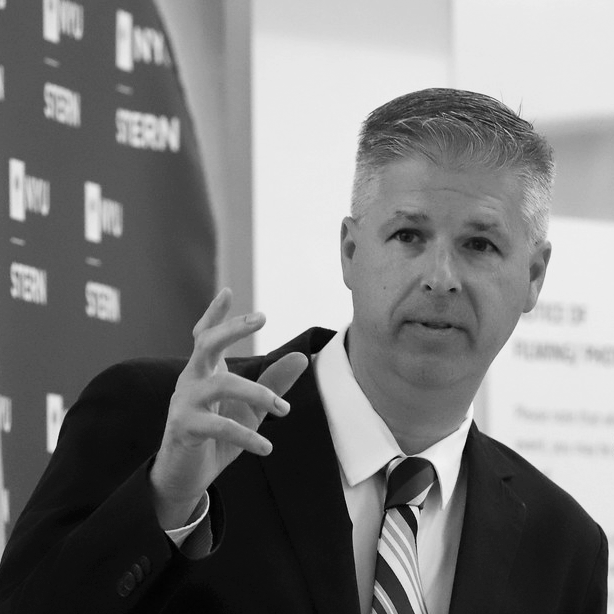 Charles Marohn – known as “Chuck” to friends and colleagues is the Founder and President of Strong Towns, and the lead author of Thoughts on Building Strong Towns — Volume 1, Volume 2 and Volume 3 — as well as the author of A World Class Transportation System. He hosts the Strong Towns Podcast and is a primary writer for Strong Towns’ web content. 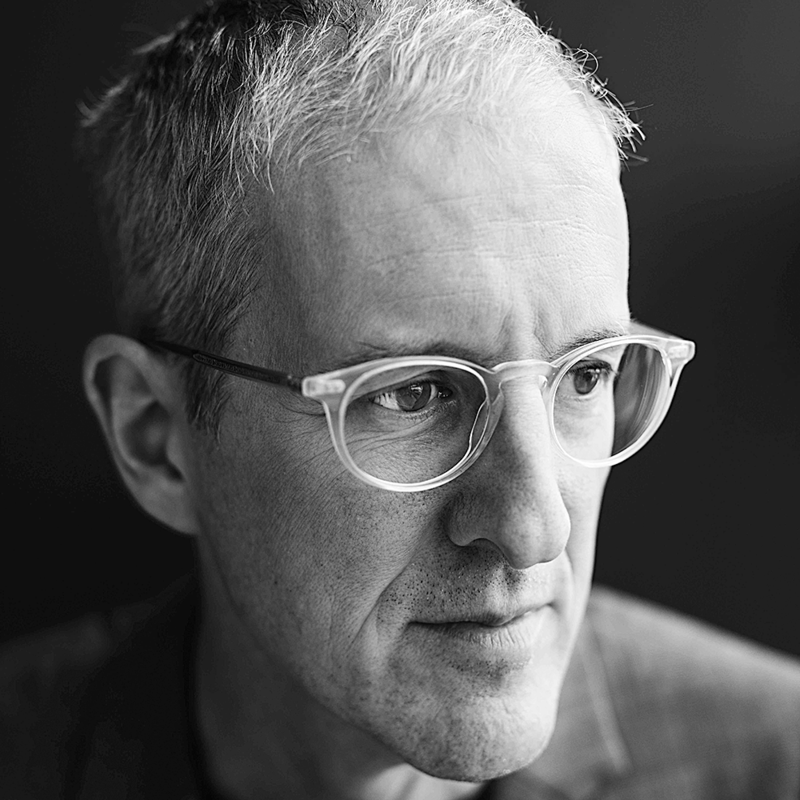 He has presented Strong Towns concepts in hundreds of cities and towns across North America and in 2017 was named one of the 10 Most Influential Urbanists of all time by Planetizen. Marohn is a Professional Engineer (PE) licensed in the State of Minnesota and a member of the American Institute of Certified Planners (AICP). Marohn has a bachelor’s degree in Civil Engineering from the University of Minnesota’s Institute of Technology and a Master of Urban and Regional Planning degree from the University of Minnesota’s Humphrey Institute. Marohn is a long time commentator on KAXE Northern Community Radio. He currently co-hosts KAXE’s Dig Deep program, a monthly examination of public policy issues affecting Minnesotans. Carmen is an organizational heretic and all-purpose troublemaker whose only real expertise is asking stupid questions and noticing odd, new things that might amount to something…or maybe not. People on LinkedIn endorse her for strategy, analysis, and leadership. Those who don’t know her very well also endorse her for program management skills… not! Carmen spent 32 years at CIA but when you meet her you will hardly notice. She is recognized as a national and international expert on intelligence analysis, strategic thinking, diversity of thought, and innovation and intrapreneurs in the public sector. She is the co-author of the book: Rebels at Work: A Handbook for Leading Change from Within and of the landmark Deloitte University Press paper on Diversity’s New Fronter: Diversity of Thought and the Future of the Workplace. Her story as a heretic and change agent at CIA is featured in Wharton School professor Adam Grant’s bestseller Originals: How Non-Conformists Move the World. Some of her most recent presentations include speaking at South by Southwest 2018 on The Mediocrity Trap and on Critical Thinking at SXSW 2017. She is speaking this year at SXSW on Surviving as a Change Agent. Recently she has spoken: to Canadian Federal senior executives about Diversity of Thought and Rebel Thinking, to the California STEM Education conference 2017, at the Business Innovation Factory 2017, and multiple times at GovLoop’s NextGen Leadership summit. 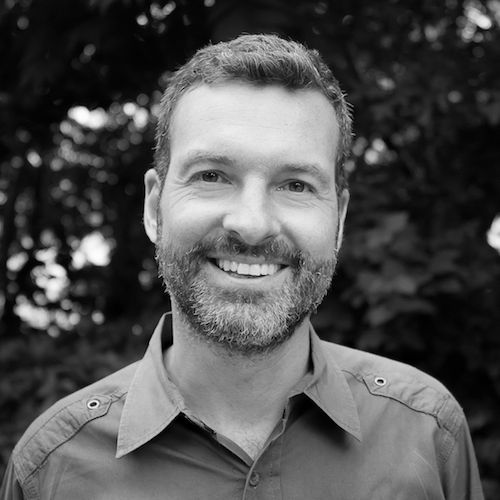 An associate professor of media design at Parsons School of Design, David Carroll is known for challenging Cambridge Analytica in the UK in a quest to recover voter data profiles from the 2016 election. 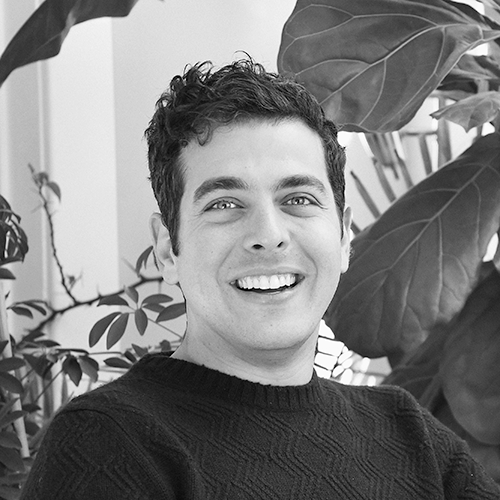 Before that, he served as director of the MFA Design and Technology graduate program at Parsons and then took a shot at being a media tech entrepreneur after working for media clients in digital marketing since the dawn of the commercial internet. 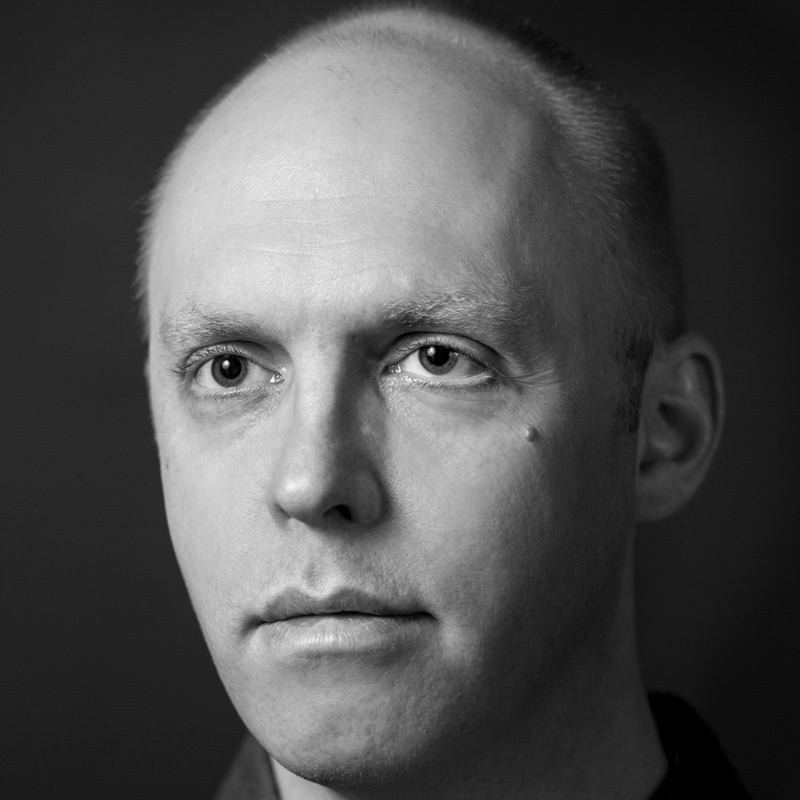 He has written about his data quest for Wired, Motherboard, and Boston Review and is working on a book. His research, scholarship, creative practice, and collaborations have been funded by the US government and private foundations. After more than two decades operating at the nexus of politics, policy and government, Dr. Maya Rockeymoore Cummings was elected Chair of the Maryland Democratic Party in December 2018. Prior to leading the party, Dr. Rockeymoore Cummings spent her career advising and working for organizations and policymakers fighting for social justice, including the Robert Wood Johnson Foundation, the Congressional Black Caucus Foundation (CBCF), National Urban League, the House Ways and Means Committee, and Congressman Charles Rangel (D-NY). Dr. Rockeymoore Cummings’ leadership in the areas of health, education, economic security, and technology have been recognized by leading businesses and organizations, including Google, the Aspen Institute and Running Start. 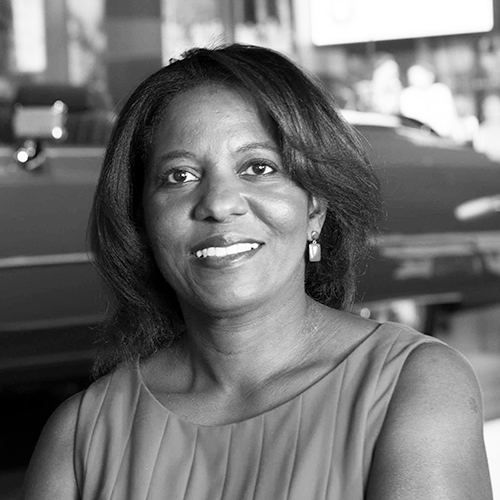 Dr. Rockeymoore Cummings lives in Baltimore City with her husband, Elijah, and she is the President and founder of Global Policy Solutions, a political consulting firm. In January 2006, Albert Rizzi opened his eyes to a world gone dark. The fungal meningitis that sent him into an opioid-induced coma robbed him of his sight, but not his vision. Immediately, Rizzi threw himself into learning to navigate the world as a person who just happened to be blind, bringing a sense of adventure to his endeavors. In 2009, he founded My Blind Spot, a New York City-based nonprofit dedicated to inspiring accessibility for all! Today, Albert is a tireless evangelist, debunking stereotypes and promoting accessible and usable technologies, digital equity, financial independence and equitable employment for people of ALL abilities. Through a suite of holistic services, My Blind Spot partners with organizations of all sizes, and across all industries, to offer scalable solutions that ensure inclusive digital design and digital equity in our schools, in our work places and in society in general. 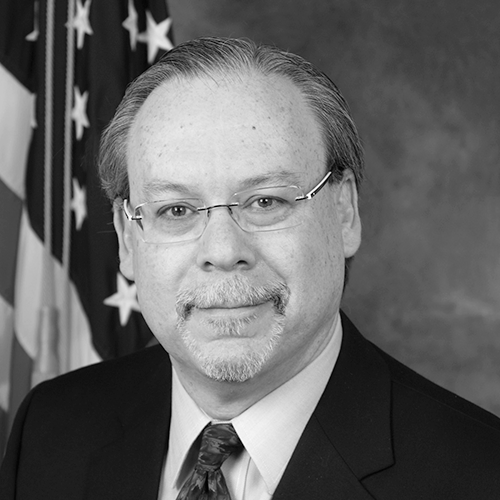 Terrell McSweeny is a former Commissioner of the U.S. Federal Trade Commission. Prior to joining the Commission, Ms. McSweeny held several senior government appointments including: Chief Counsel for Competition Policy in the U.S. Department of Justice Antitrust Division; Deputy Assistant to President Obama and Domestic Policy Advisor to the Vice President Biden; and Counsel on the Senate Judiciary Committee. 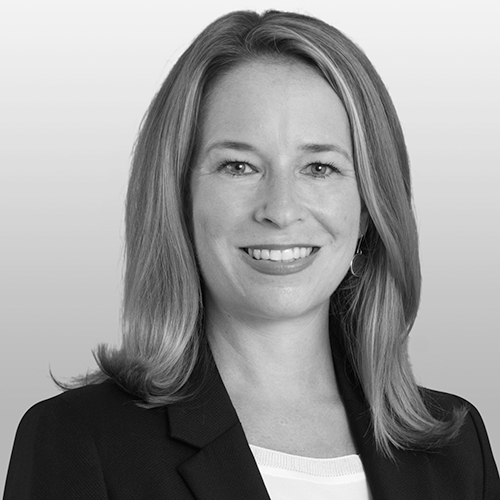 She is currently a partner at Covington & Burling where her practice focuses on competition, AI governance, privacy, and consumer protection. Ms. McSweeny’s work focuses on the thorny questions that arise when technology outpaces law and policy. 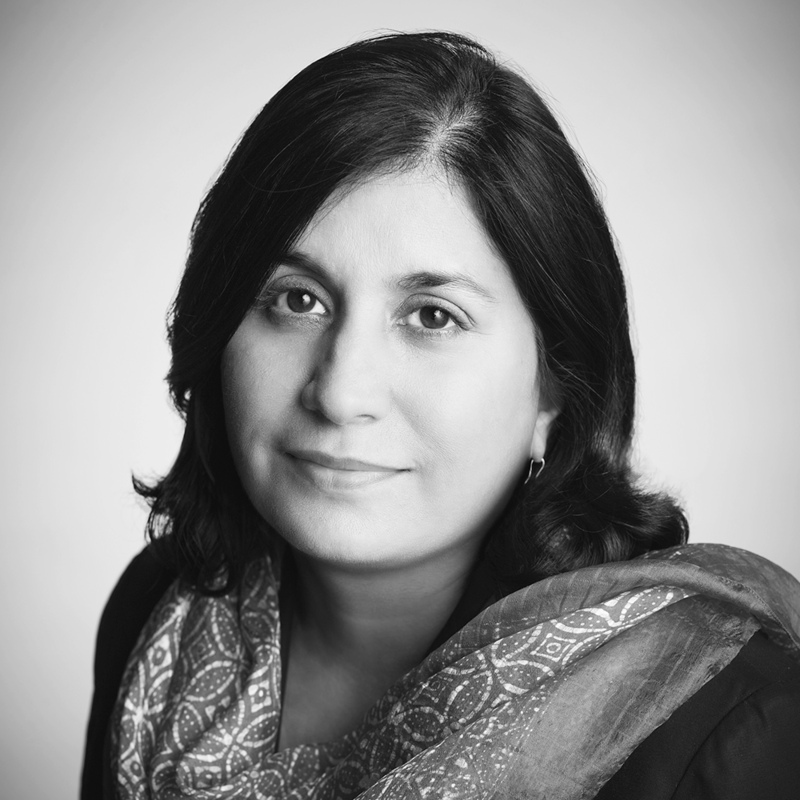 She has written extensively on big data and antitrust; algorithmic pricing, AI, IoT, cybersecurity; and privacy. Ms. McSweeny currently serves as a Distinguished Fellow of Georgetown Law’s Institute for Technology Law & Policy and is a member of the Advisory Council for the Center for Democracy & Technology. She is a graduate of Harvard University and Georgetown Law. Born in Venezuela to a Middle Eastern family and growing up in Miami, Tony Tahhan draws inspiration from a variety of cultures. Tony pursued degrees in Math, Economics, and Spanish Literature from Cornell University. As an elective course, he explored food anthropology and became fascinated by its stories, traditions, and taboos. In 2010, Tony was awarded a Fulbright Research grant to Syria, where he studied the midday meal in three contexts: at homes, in restaurants, and in the streets. From cooking to eating, food was a natural vehicle for cultural exchange and one that he continues to explore. From his current home in Baltimore, Tony documents recipes and stories from Aleppo and his many travels, bringing people together online and in person around the love of food. 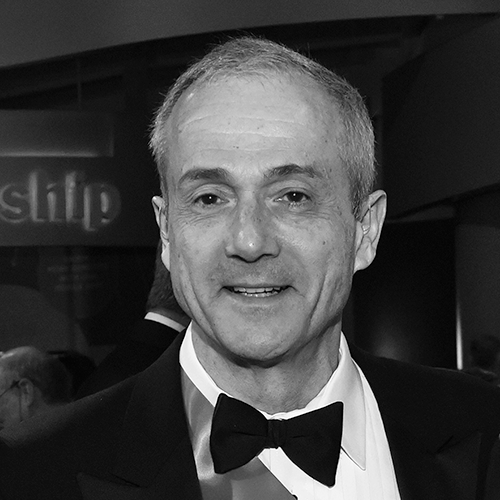 Adrian Bejan received the Benjamin Franklin Medal for “Thermodynamics and constructal theory, which predicts natural design and its evolution in engineering, scientific, and social systems.” All his degrees are from MIT. At Duke University he is the J.A. Jones Distinguished Professor. He authored 30 books and 650 peer-refereed journal articles, and was awarded 18 honorary doctorates from universities in 11 countries. His latest book is The Physics of Life (St. Martin’s Press 2016), and his most recent work focuses on how the human mind perceives time. 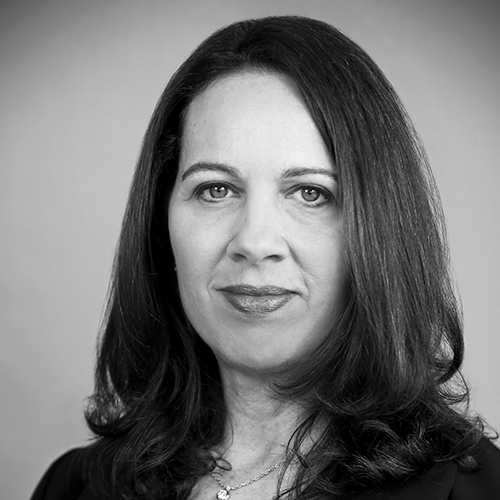 Melanie Nezer is Senior Vice President for Public Affairs at HIAS, the global Jewish organization for refugees. Melanie also has served as HIAS’ Vice President, Policy and Advocacy and, previously, as Migration Policy Counsel and Director of the Employment Visa Program, representing at-risk Jewish professionals and religious workers seeking to work in the U.S. during times of instability and crisis in their home countries She has spent her career as an attorney and advocate representing people who are seeking a chance at a productive future for themselves and their children, in a place where they can be safe and free. 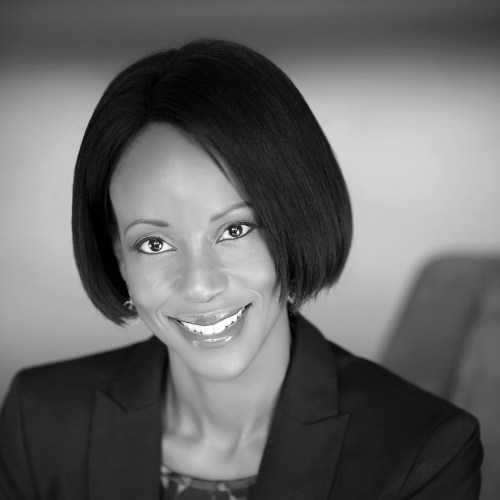 Melanie obtained her law degree from Boston College Law School and her undergraduate degree from the University of Michigan, Ann Arbor. Albert-László Barabási is the Robert Gray Dodge Professor of Network Science and a Distinguished University Professor at Northeastern University, where he directs the Center for Complex Network Research and holds appointments in the Department of Medicine at Harvard Medical School and the Central European University in Budapest. A native of Transylvania, Romania, he received his Master’s in Theoretical Physics at the Eötvös University in Budapest, Hungary and Ph.D. at Boston University. 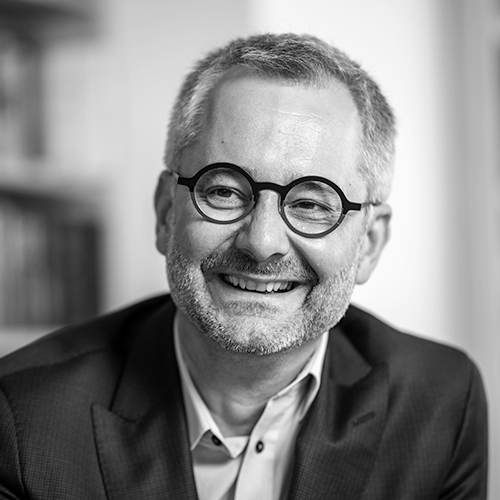 Barabasi’s latest book, Bursts: The Hidden Pattern Behind Everything We Do (Dutton, 2010), is available in five languages. His previous book Linked: The New Science of Networks (Perseus, 2002) is currently available in fifteen languages. He is the author of Network Science (Cambridge, 2016) and the co-editor of The Structure and Dynamics of Networks (Princeton, 2005) and Network Medicine (Harvard University Press, 2017). His work has led to many breakthroughs, including the discovery of scale-free networks in, which continues to make him one of the most cited scientists today. Barabási is a Fellow of the American Physical Society and of the American Association for the Advancement of Science. He was awarded the FEBS Anniversary Prize for Systems Biology in 2005 and the John von Neumann Medal for outstanding achievements in computer science and technology in 2006, the C&C Prize from the NEC Foundation in 2008, the US National Academies of Sciences awarded him the Cozzarelli Prize in 2009, the Lagrange Prize for his contributions to complex systems in 2011, the Prima Primissima Award for his contributions to science in 2014 and the Senior Scientific Award of the Complex Systems Society in 2017. He was elected member of the Hungarian Academy of Sciences, the Romanian Academy, Academia Europaea, the European Academy of Sciences and Arts, and the Massachusetts Academy of Sciences and he received Doctor Honoris Causa from Universidad Politécnica de Madrid, University of West Timisoara and Utrecht University. Mr. Schwartz is CEO of Sam Schwartz Transportation Consultants, a firm that specializes in transportation planning and engineering. He is the traffic columnist, Gridlock Sam, for The New York Daily News (he released the word ‘gridlock’ into the public lexicon). Previously Mr. Schwartz was New York City’s Traffic Commissioner. He started his transportation career in the late 1960’s as a NYC cabbie and joined the Traffic Department, as a junior engineer, in 1971. Mr. Schwartz’s most recent books, No One at the Wheel: Driverless Cars and the Road of the Future (2018) and Street Smart: The Rise of Cities and The Fall of Cars (2015) lay out a recipe for cities faced with rapid changes in modes, automation, demographic shifts and travelers’ preferences. Born in the United Kingdom, Adam Davies studied painting before switching to large-format photography in the late 2000s. Adam received an EdM from Harvard University and an MFA from Carnegie Mellon University. In 2015, Adam was honored as Outstanding Emerging Artist at the DC Mayor’s Arts Awards and was the recipient of the Clarence John Laughlin Award. He is an artist-in-residence at Creative Alliance in Baltimore where his recent exhibition featured collaborations with Los Angeles-based musician Alex Zhang Hungtai and Baltimore-based percussionist Adam Rosenblatt. He is currently working with two award-winning authors: Joan Wickersham on a project based upon the 17th-century Swedish shipwreck ‘Vasa’ and Ivy Pochoda on an exploration of the annual wildflower bloom that borders the highways in downtown Los Angeles. Ava Pipitone builds tools to scaffold the imaginations of others. She serves as the Co-founder and CEO of HostHome Benefit Corp., the Leadership Consultant with The Baltimore Transgender Alliance, the Board Secretary of the GLCCB, and a diversity and inclusion consultant with Circles of Voices. Ava invites authentic community healing through the her words and equitable organization designs. 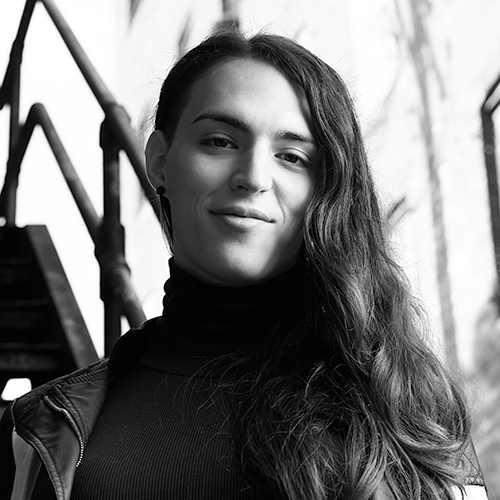 Housing LGBT folx, building collective worker power, and organizing the transgender community are the fruits of her labor. 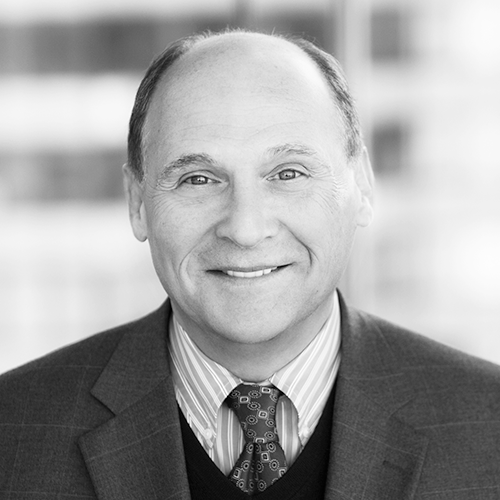 John Prisco is an entrepreneur and technologist that has led Triumfant, GeoVantage and Ridgeway Systems to successful exits. His depth of experience in telecommunications, cybersecurity and quantum physics are ideally suited to help lead Quantum Xchange and its customers, partners, investors, and employees through the emerging era of quantum computing and the future of encryption. John holds degrees in Electrical Engineering from MIT and Columbia University. 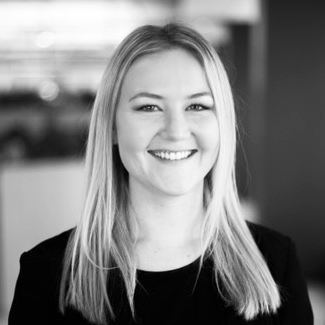 As a campaign associate for Oceana, Wellsley is primarily focused on helping build the technical foundation for the organization’s plastics campaign. She spends most of her days immersed in the ongoing science and the political and corporate developments around plastic pollution. A graduate of the University of Miami, Wellsley holds degrees in marine science and biology. Before joining the Oceana team, Wellsley worked with the Loggerhead Marinelife Center, where she monitored the success of sea turtle nests on her hometown beaches. Seeing hatchlings struggle to break free from plastic debris on their trek to the ocean solidified her resolve to tackle the marine plastic pollution problem. Her passion for the ocean and its inhabitants can be attributed in part to growing up in Jupiter, Florida, where she spent most of her free time surfing, swimming and scuba diving. Kyle Yearwood is a visual artist from Baltimore, MD. Through his study of filmmaking at Morgan State University and anything he could learn from YouTube, Kyle has mastered an art form that combines photography, videography, compositing, visual effects, and 3D. His artwork has been exhibited in the National Black Theatre in Harlem, The Tectonic Space in Baltimore, and San Francisco’s Museum of the African Diaspora. In 2018, Kyle received the Light City – Neighborhood Lights award and premiered his first major art instillation in the heart of Baltimore City. Kyle credits his journey of overcoming depression as the key to unlocking his passion and purpose. In 2014, he began releasing his surrealistic self-portraits on Instagram along with captivating captions centered around self-love, self-empowerment, and magic. 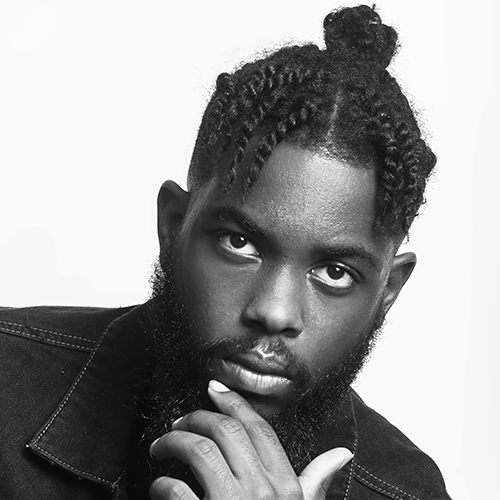 After one of his posts captured the attention of millions on the platform, Kyle was featured on various outlets, such as ABC2News, The Baltimore Sun, Afropunk, and Essence. Kyle’s viral path to success is evidence of the growing importance of social media presence and how it can not only make a career, but also make an impact. 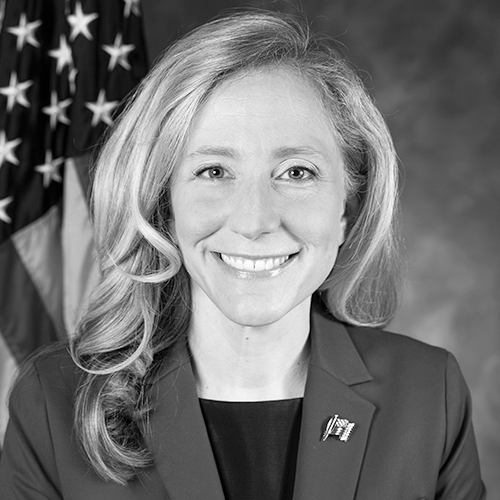 U.S. Representative Abigail Spanberger represents Virginia’s 7th Congressional District, which comprises 10 counties throughout Central Virginia. Representative Spanberger began her career in public service, first serving as a federal agent with the U.S. Postal Inspection Service investigating money laundering and narcotics cases, and then serving as a case officer with the Central Intelligence Agency (CIA). As a CIA officer, she worked at home and abroad to collect vital intelligence, keep our country safe, and work in furtherance of our national security priorities. In the private sector, Representative Spanberger worked with colleges and universities to help them diversify their student bodies and increase graduation rates. 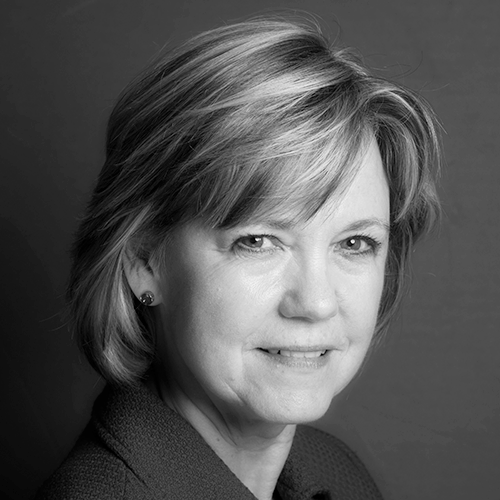 Dana Priest has been a reporter for The Washington Post for 30 years and is The Knight Chair in Public Affairs Journalism at the University of Maryland’s Merrill College of Journalism. She covers mostly national security issues and has been a reporter and contributor to PBS FRONTLINE, NBC and CBS news and 60 Minutes. Her awards include the 2008 Pulitzer Prize for Public Service for “The Other Walter Reed” and the 2006 Pulitzer for her work on CIA secret prisons and counterterrorism operations as well as two Polk Awards. She is author of two best-selling books, “THE MISSION: Waging War and Keeping Peace with America’s Military” which documents the military’s expanding influence over U.S. foreign affairs (2003), and Top Secret America: The Rise of the New American Security State (2011). She is the co-founder of PressUncuffed.org, an online publication of student journalism and research on censorship and press freedom. She is also on the board of directors of the Herblock Foundation and the Fauquier Times in Fauquier County, Virginia. Khadijah Tribble is a social entrepreneur on a mission to do good. She is a recent graduate of Harvard Kennedy School where she was a Cheng Fellow at the Social Innovation Change Initiative. Khadijah currently serves on the board of Changing Perceptions DC, a community-based organization that enables ex-offenders and formerly incarcerated individuals to open small businesses. Prior to attending Harvard, Khadijah worked as a consultant providing information and operational support to grassroots community organizations, healthcare industry firms and government clients related to housing and health. As a Cheng Fellow, Khadijah launched the Marijuana Policy Trust, an organization aimed at interrupting the current cannabis regulatory landscape by modeling equity in cannabis regulations at local, state and federal levels. The Marijuana Matters project promotes equity in cannabis through advocacy, education and the Minorities In Cannabis (MIC incubator/accelerator. The goal of MIC is to increase marketplace access, generate revenue and improve social and economic outcomes for individuals and communities most impacted by the failed war on drug policies. 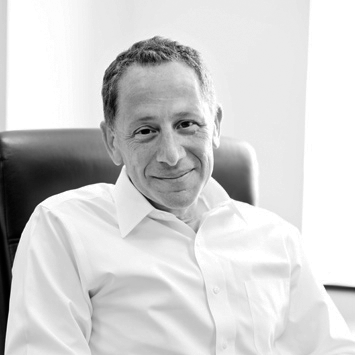 David Rothkopf is the CEO of The Rothkopf Group, a media and advisory company. Via its DSR Network it is a leading presenter of podcast and other web-based content on politics, foreign policy, national security and technology. Rothkopf is a well-known author whose next book Traitor: The Case Against Donald Trump is due out later this year from St. Martin’s Press. His prior books include “National Insecurity”, “Power, Inc.”, “Superclass” and “Running the World: The National Security Council and the Architects of American Power.” He is also the author of “The Great Questions of Tomorrow” from Simon & Schuster and TED Books, based on his TED talk which has been seen to date by well over a million viewers. He was previously editor and CEO of the FP Group, publishers of Foreign Policy Magazine, managing director of Kissinger Associates and served as a senior official in the Commerce Department. He has taught at the schools of international affairs at Columbia University, Johns Hopkins and Georgetown. He is a regular columnist and contributor to major newspapers, websites and broadcast outlets worldwide. 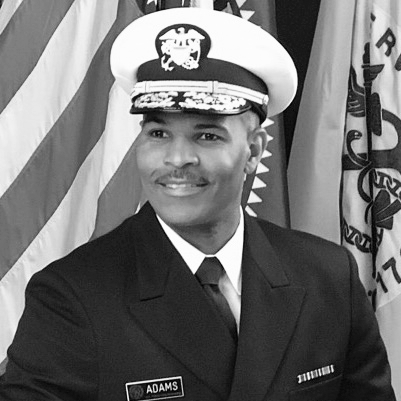 Jerome M. Adams, MD, MPH, the 20th Surgeon General of the United States, was sworn into office by Vice President Mike Pence on September 5, 2017. Dr. Adams, a board-certified anesthesiologist, served as Indiana State Health Commissioner from 2014 to 2017. 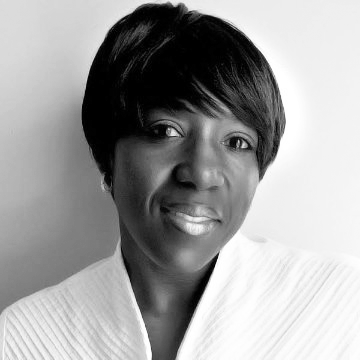 Dr. Adams, a Maryland native, has bachelor’s degrees in both biochemistry and psychology from the University of Maryland, Baltimore County, a master of public health degree from the University of California at Berkeley, and a medical degree from Indiana University School of Medicine. Dr. Adams was also an associate professor of clinical anesthesia at Indiana University School of Medicine and a staff anesthesiologist at Eskenazi Health, where he was Chair of the Pharmacy and Therapeutics Committee. He has served in leadership positions at a number of professional organizations, including the American Medical Association, the Indiana State Medical Association and the Indiana Society of Anesthesiologists. He is the immediate past Chair of the Professional Diversity Committee for the American Society of Anesthesiologists. Dwandalyn (Dwan) Reece is a musician, scholar and museum professional who is Curator of Music and Performing Arts at the Smithsonian’s National Museum of African American History Culture. Responsible for the acquisition, research and interpretation of the museum’s music and performing arts collection, she curated the museum’s permanent exhibition, Musical Crossroads, for which she received the Secretary’s Research Prize in 2017. Dwan’s other projects include the museum’s three-day Grand Opening Festival, Freedom Sounds: A Community Celebration and the Center for Folklife and Cultural Heritage’s 2011 Folklife Festival program, Rhythm & Blues: Tell it Like It Is. 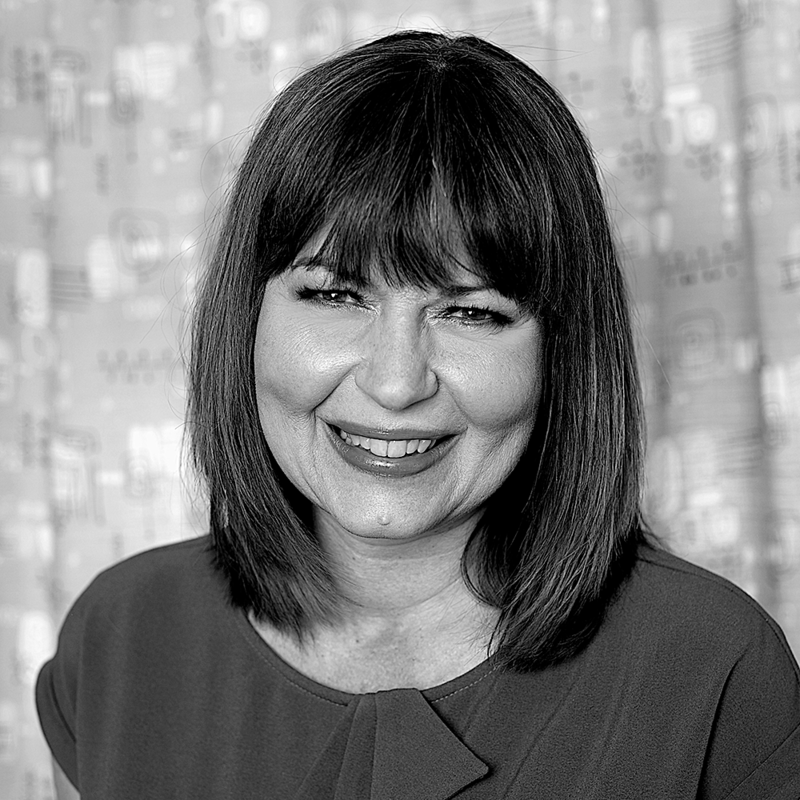 She serves as chair of the SI pan-institutional group, Smithsonian Music, and is co-curator of the 2019 initiative, the Smithsonian Year of Music. Dr. Lennon is an Associate Professor of Medicine at The Johns Hopkins University School of Medicine in Baltimore, Maryland USA. 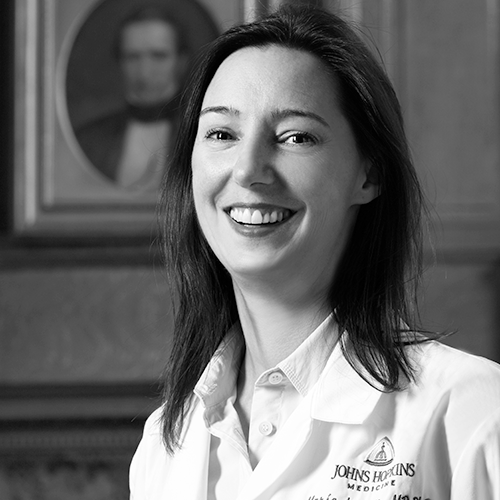 After receiving a medical degree from the Royal College of Surgeons in Ireland, and a PhD from University College Dublin, Dr. Lennon completed her residency training in internal medicine in Ireland and at the Cleveland Clinic. She then completed a Fellowship in Gastroenterology in Edinburgh, United Kingdom, followed by an Advanced Endoscopy Fellowship at Johns Hopkins. She joined the faculty at Johns Hopkins in 2010. 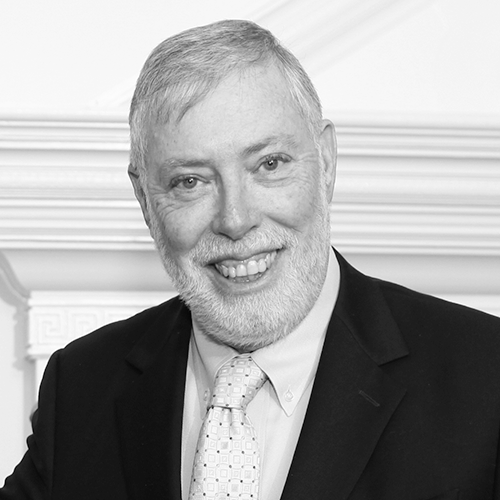 Dr. Lennon is a Fellow of the American Society of Gastrointestinal Endoscopy, the American Gastrointestinal Association, the American College of Gastroenterology, and the Royal College of Physicians of Ireland. She has authored over 100 peer-reviewed papers, 21 book chapters and is the co-editor of the textbook Gastrointestinal Endoscopy in Practice. Dr. Lennon’s research is centered on early cancer detection and prevention. Emma leads the Nuclear Challenges program at the John D. and Catherine T. MacArthur Foundation. Before MacArthur, Emma was at the Council on Foreign Relations, where she was a Stanton Nuclear Security Fellow. 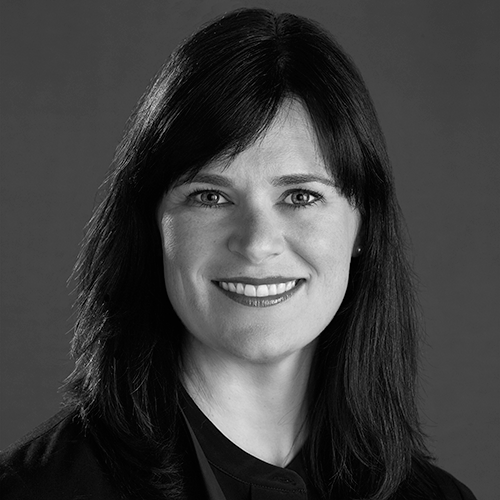 She has also worked as an advisor in Australia’s Department of the Prime Minister and Cabinet on national security and international affairs, and as a public affairs officer at the Australian embassy in Washington, D.C.
She has a background in international security (Fletcher School of Law and Diplomacy, Tufts University, PhD and MALD; University of Melbourne, BA [Hons]). While completing her PhD, she was a fellow in the International Security Program and Project on Managing the Atom at Harvard University’s Belfer Center for Science and International Affairs. 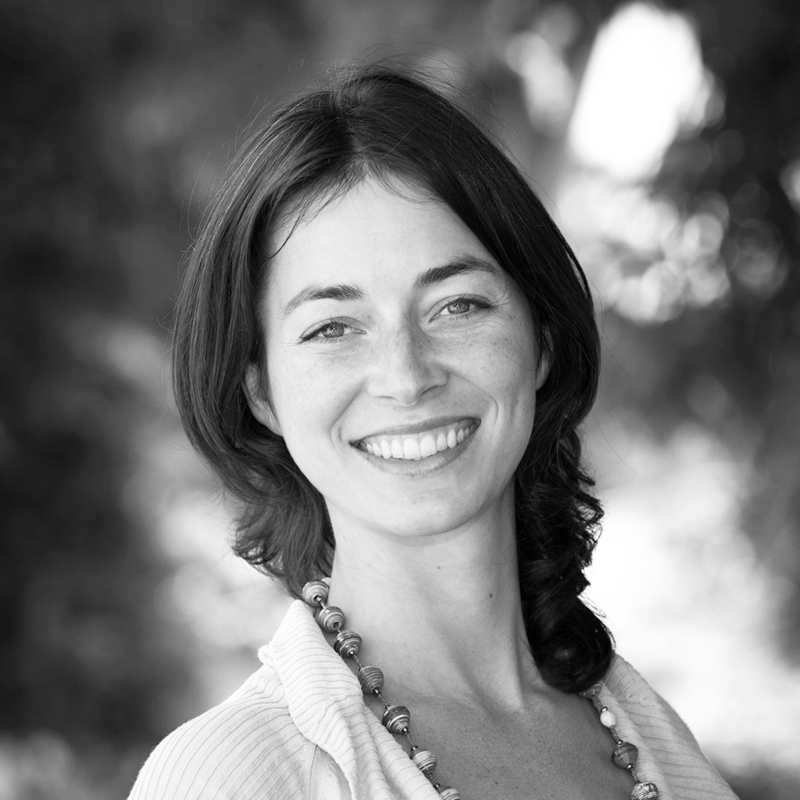 Allison has consulted to clean energy companies, governments, and advocacy groups. She previously worked with 3TIER on large-scale renewable energy siting and integration and with GridPoint, an early distributed solar+storage company in the United States. She holds a B.A. (hons) from Tufts University and a Master of International Public Policy degree from Johns Hopkins School of Advanced International Studies. Janet Noh is a bi-coastal (NYC & LA) songwriter, performing vocalist, and classical pianist originally from Seattle, Washington. After graduating from Yale with a double major in economics and history, she started her career as an investment banker on Wall Street. It didn’t take long to learn that spreadsheets and data couldn’t feed a creative spirit. After winning a full scholarship at NYU-Tisch and receiving her M.F.A. in musical theatre writing, she abruptly abandoned finance for good (her parents still don’t know, please don’t tell). Since graduating in 2016, she made her Broadway debut in ROCKTOPIA and has been a featured performer at The Lincoln Center, New York City Center, The Public Theater in NYC, among other venues. Also an active educator, Janet is currently a teaching artist at Lincoln Center Theater, a guest songwriter at Columbia University, composer-in-residence at Borough of Manhattan Community College, and was a music director at Marymount Manhattan College (MMC). Janet has been commissioned to write a musical for Chicken Soup for the Soul Publishing, scheduled to be released worldwide by Rodgers & Hammerstein Theatricals. Her musical PANGAEA was produced at Live & In Color and MMC with the support of The Frederick Loewe Foundation. She was chosen to write and perform an original piece for the BARS Workshop at the Public Theater where she worked with original cast members of Hamilton. Currently, Janet is working on a new musical about North Korea, an EP of original music, and is writing songs for an upcoming feature film (Anastasia) set to be released in 2019 by Paramount Pictures and Netflix. 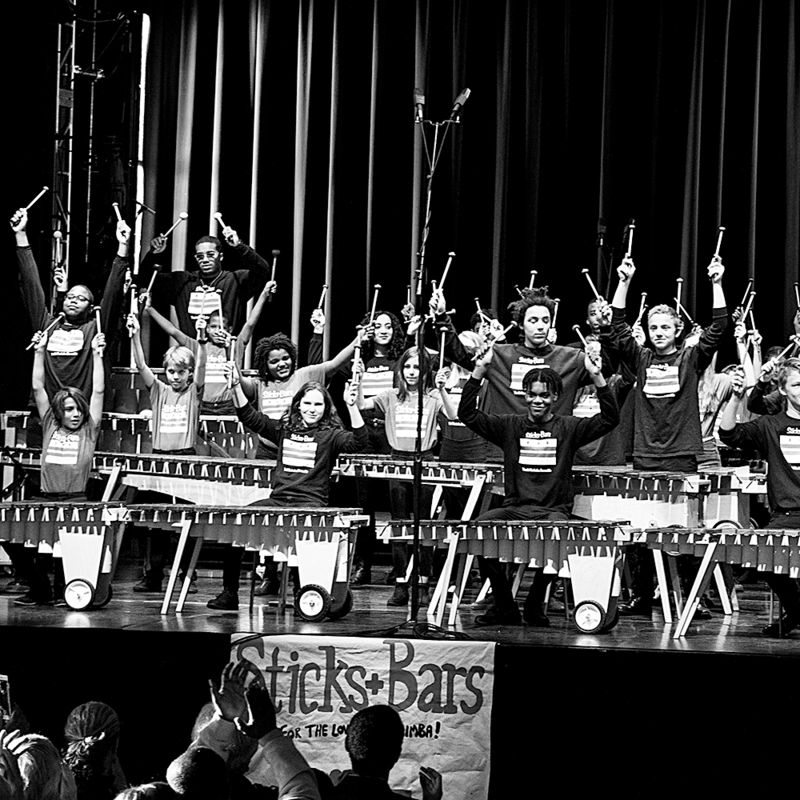 Sticks+Bars Youth Marimba Ensemble is Washington, D.C.’s first and only African style youth marimba band. In fact, it is one of few such ensembles in the eastern United States. Founded in 2014 by Premila Mistry, a music teacher in the District of Columbia Public School System, the ensemble gives students in grades 5-12 the opportunity to learn the beautiful marimba music of Zimbabwe and South Africa. The participating students also play, perform and compose music for marimba in other genres and styles. No prior experience is necessary to join the group, which has grown from 11 students to more than 40 over the past five years. They come from public, private and charter schools across the D.C. metro area. Sticks+Bars has performed by invitation in numerous venues in and around D.C. including Strathmore Hall in Bethesda, Maryland; the Millennium Stage at the John F. Kennedy Center for the Performing Arts; The Wharf DC in celebration of its opening; and at Mayor Bowser’s State of the District Address at Arena Stage. The Advanced Ensemble traveled to Atlantic City, NJ in 2016, to play as the featured ensemble for 1000 music educators attending the American Orff Schulwerk Association Professional Development Conference. In 2018, the students also traveled to Ithaca, NY where they opened the Ithaca College High School Gospel Festival. Each year, Ms. Mistry also strives to give students the opportunity to interact with professional musicians from around the world and experience music as an international language. Most recently, Sticks+Bars was honored to play for and interact with Ladysmith Black Mambazo, a world-famous a cappella singing group from South Africa. These experiences help the ensemble members expand their horizons, enrich their own music, and share the joy of marimba. With Andres Duany and Elizabeth Plater-Zyberk, Mr. Speck is the co-author of The Smart-Growth Manual and the “modern classic” Suburban Nation, which the Wall Street Journal calls “the urbanist’s bible.” His latest book, Walkable City — which the Christian Science Monitor calls “timely and important, a delightful, insightful, irreverent work” — was the best selling city-planning book of 2013-16. His TED talks and YouTube videos have been viewed more than 3.8 million times. Werner Reich an his family were residents of Berlin when the Nazis came to power in 1933, and later fled to Zagreb. When the Nazis occupied Yugoslavia in 1941, Werner was placed into hiding with a couple that worked for the resistance movement. In 1943, at age 15, Werner was arrested and beaten by the Gestapo, jailed for seven weeks, and eventually sent to the Theresienstadt and Auschwitz II camps. 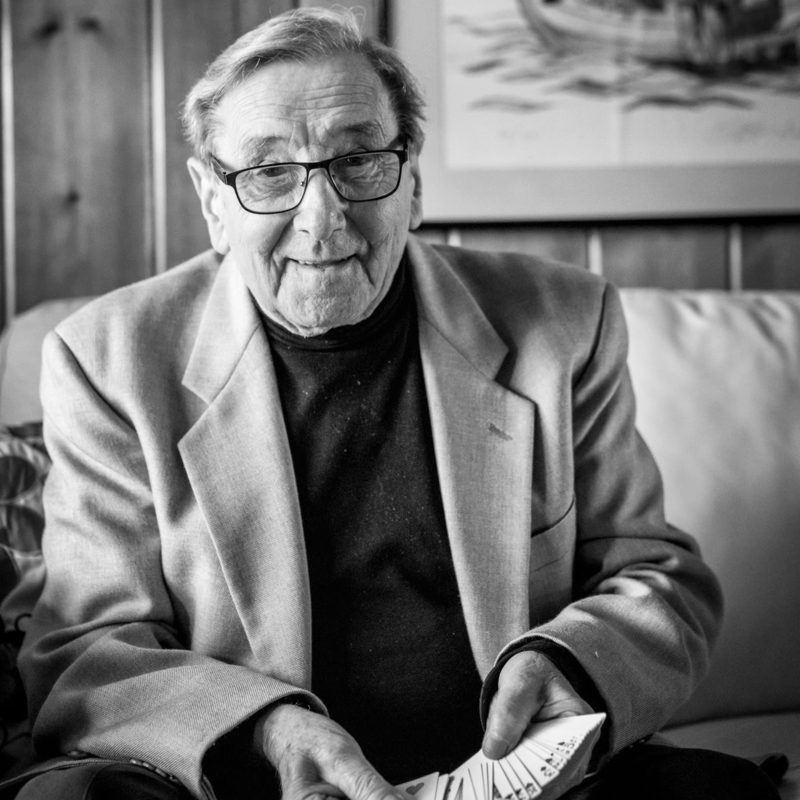 In a single day, Werner survived three selections by the infamous Dr. Mengele and became one of 89 who were chosen out of 6,000 and sent to work in Auschwitz I. In January 1945, after a seven-day death march, he ended in the Mauthausen concentration camp in Austria. After liberation in May 1945, he returned to Yugoslavia and after two years escaped to England where he worked as a laborer and later became a tool and die maker. He married in 1955 and immigrated to the United States, where he became an engineer. Werner is a prolific public speaker in the United States and overseas about his life story and the importance of taking care of each other. His work has found application in anti-genocide, anti-extremism, anti-bias, and anti-bullying contexts and beyond. 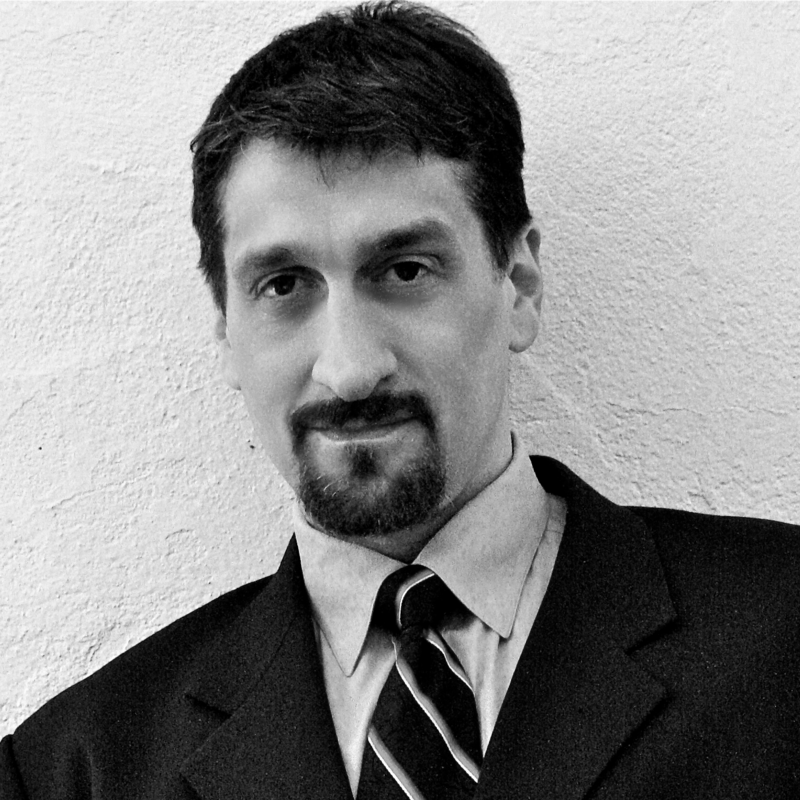 Werner is a founding member of the Long Island Multi-faith Forum and a member of the International Brotherhood of Magicians and the Psychic Entertainers Association. He is the co-author of the book “The Death-Camp Magicians,” about how learning magic helped him survive Auschwitz. 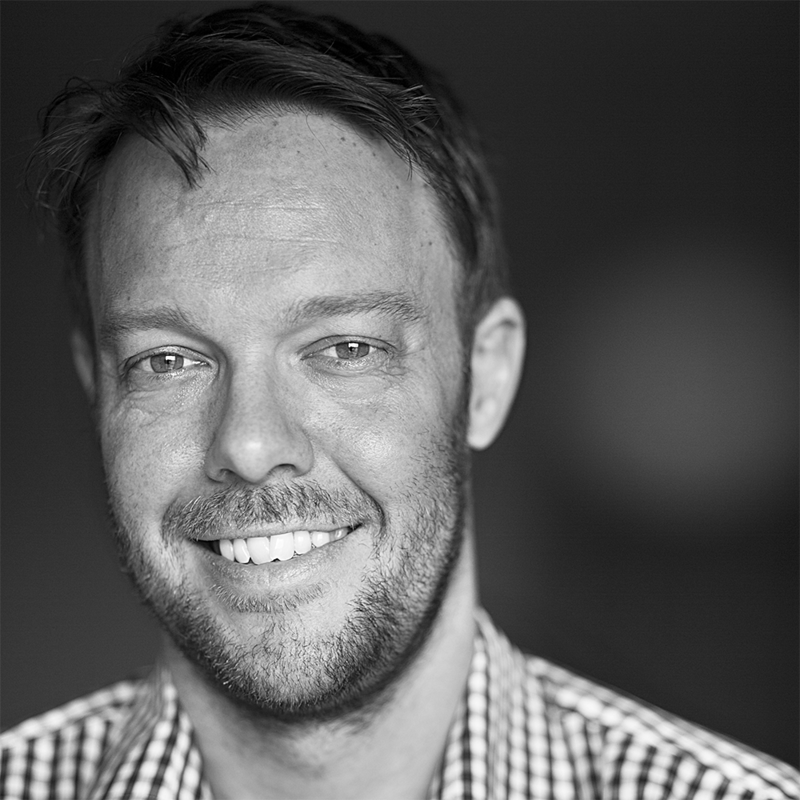 Blair Glencorse is leading a movement for accountability and integrity around the world through the Accountability Lab. The Lab works in communities to make governments more accountable and to open-up civic space- using the arts, media, culture and technology. Blair and his team have done everything from helping to found the first film school in Liberia to monitoring and improving public services in Pakistan to running a global TV show called Integrity Idol to “name and fame” honest government officials. The Accountability Lab recently won the UN’s International Anti-Corruption Excellence Award. Blair also co-founded the first co-working and innovation space in Liberia; helped to found both TEDxMonrovia and TEDxBamako; and is an expert on anti-corruption with the World Economic Forum. Blair speaks regularly on issues of community engagement, citizen participation and governance; and his work has been published in the New York Times, Washington Post and the Guardian among other outlets. Lauran Hardin is the Senior Advisor for the Camden Coalition’s National Center for Complex Health and Social Needs. 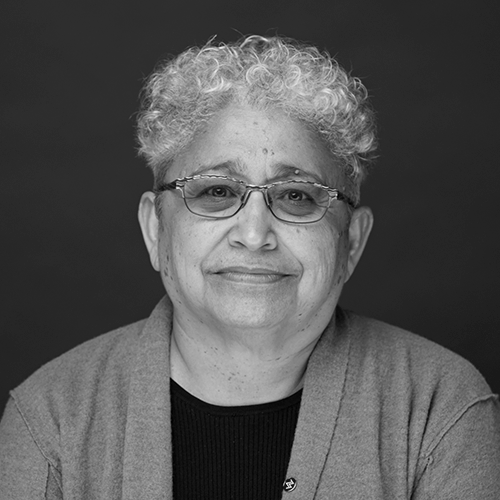 In this role, she builds upon her extensive experience providing consulting, co-design and coaching in care re-design and complex care transformation. Current projects include co-designing a complex care ecosystem for uninsured patients in Memphis, TN, scaling a community based cross-sector care coordination model for vulnerable populations throughout the Adventist Health system and development of a complex care clinic model within the Sutter Health system. Hardin was previously the Director of a Complex Care Center serving hospitals, multiple providers and more than 1,500 high frequency/complex patients in the Mercy Health System. The Center’s model of complex care has resulted in better patient navigation and outcomes, including decreased emergency room visits, hospitalizations, and costs for vulnerable populations. Aspects of the care model were implemented in more than twenty Trinity Health ministries across six states, including rural and urban locations. Hardin was awarded the National CNL Vanguard award from the AACN in January 2015. Her innovative model of care earned her “Edge Runner” recognition from the American Academy of Nursing in June of 2015. She was named AARP Culture of Health Scholar at the National Center for Complex Health and Social Needs in January of 2017 and inducted as a Distinguished Fellow of the National Academies of Practice in Nursing in 2018. Hardin earned her Master’s degree in Nursing from the University of Detroit Mercy, with certifications as a CNL, Pain Management and Hospice. She trained as a Facilitator with the Elisabeth Kubler-Ross Center, spent several years working in hospice, and co-developed the first Pain and Palliative Care service in the West Michigan region.